SWT25100FC cable tie machine is also named automatic cable tie system. 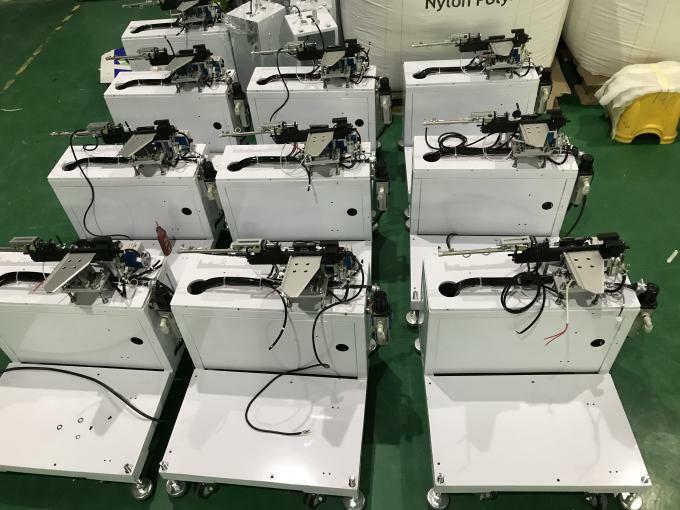 It can speed up the bundling process and improve working efficiency. 1. Using reel cable ties C25100, 5,000pcs/reel. 2. It consists of a host machine, a tool head (tool gun), the reel. 3. The tool head is fixed in the bench or in the customized frame. 4. It starts to bundle objects once tread the foot pedal (automatic threading, tightening and cutting). 5. Automatically detect whether cable tie is bundled successfully or not. 6. Automatically detect whether cable tie is jammed or not and clean jammed cable tie. 7. Automatically count quantity of cable ties bundled successfully. 8. Power supply: AC110V, 50/60Hz; AC220V, 50/60Hz. 9. Binding force is adjustable. 1. Use reel cable ties C25100. 2. Small and noise lower. 3. Automatic adapt and bundle objects with diameters less than 18mm. 4. Automatic detect failure. It can detect whether cable ties have been bundled or not and deal with the failed ties. 5. The operation speed is adjustable. 1. What are the differences between SWT25100FC and other brand machines? 1. Don’t have to change jaws to adapt to bundle different objects. Yes No, you need to change different jaws to adapt different goods bundled. 2. With temperature control system to protect cable ties toughness Yes No, they are without this system. 3. Automatic counting qty of cable ties Yes No, they don’t have. 4. Automatic detecting whether cable ties are jammed or not and cleaning them. Yes No, they can’t. 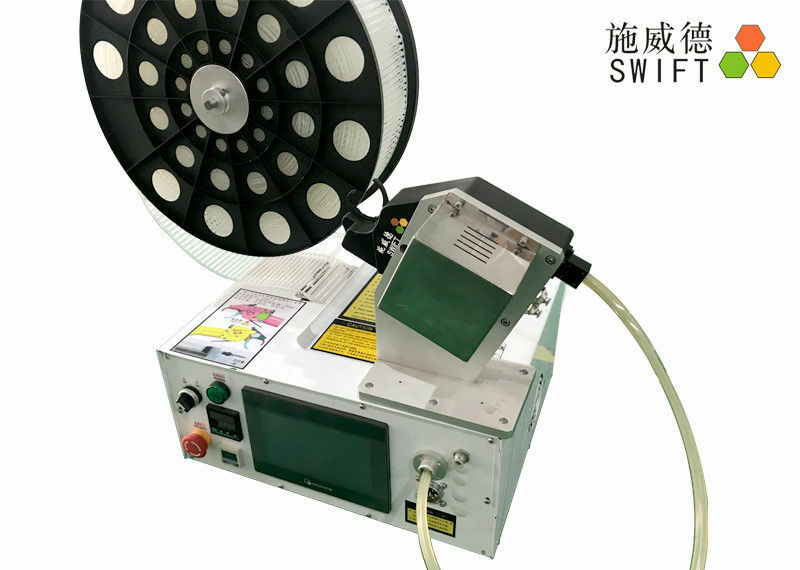 SWIFT machine would be tested 1,000 – 2,000 times before shipment to guarantee the good condition.